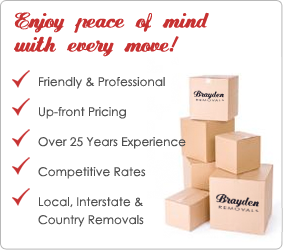 Our company has used the services of Brayden Removals on many occasions. We have always found Wayne and his staff to be flexible and professional in their attitude to work, which has been an enormous benefit at the usual stressful relocation times. I would highly recommend Wayne and Brayden Removals to any company or person.